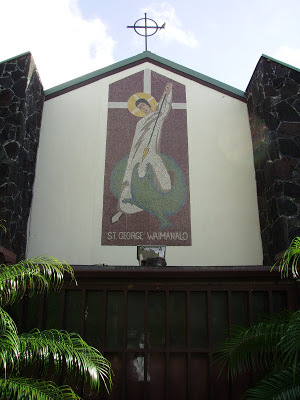 Welcome to St. George Church Waimanalo! There are two ways to register here at St. George. You may complete the online registration form below, or scroll down and download the form, complete and submit to St. George's. For any questions or concerns, please give us a call at our Rectory Office at (808) 259-7188. For children needing to receive the Sacraments of Baptism, Eucharist or Confirmation, please call us at (808) 259-7188 for information. Click here to download the Parish Registration Form below.